Naomi Sparrow is a somatic movement educator, counsellor, Qigong teacher, artist and healer. She is a Practitioner and Teacher of Body-Mind Centering® and an Infant Movement Developmental Educator certified through the School for Body-Mind Centering. For over 20 years, Naomi has been helping people heal and live more grounded and expressive lives. She has pioneered a unique way of working with her clients based on her research into the anatomy and physiology of emotions, specifically on how trauma affects the body-mind and how healing occurs. 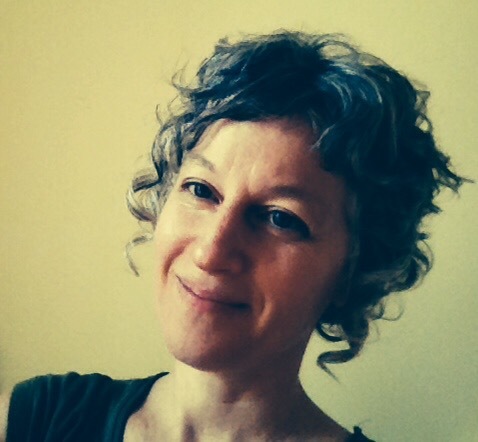 As a lifelong student of the movement arts, Naomi has taught improvisation, dance and creative process including sounding, speaking, moving, drawing and writing practices. She has consulted on dance and mixed media performance arts projects. As an Infant Development Movement Educator, she has also worked with pregnancy, prenatal and postpartum as well as facilitating infant movement in the first year of life. Naomi is a member of the Body-Mind Centering Association and a registered therapist with the International Somatic Movement Education and Therapy Association. She has a B.A. in English literature and Anthropology from Concordia University, and studied Anthropology at the graduate level. She is a recent graduate of Aylmer Qigong Teacher Training, and began studying Qigong in 2003 with Kee Hong. At Concordia university, Naomi studied consciousness and perception through psychological, social, medical and legal anthropology – focusing on how different cultures create a sense of self, reality, community and transformation. In addition to being a teacher and therapist, Naomi Sparrow is a mother, visual artist, writer, gardener and amateur herbalist living in a garden cottage by the Ottawa River.